As two volumes carved from a single rock, the project highlights the consistently defined buildings based on environmental characteristics of sunshine and urban study of the site. 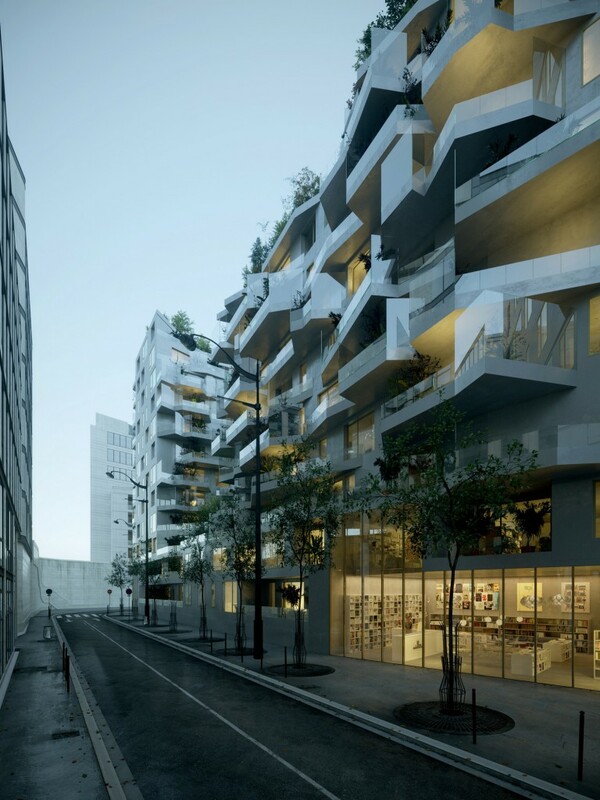 Across the island, two types of facades are united by the same materiality: one flat facades plain concrete, recalling the look of traditional stone buildings of Paris, that read thicknesses of the openings on the other hand the continuous balconies geometry labeled with railings and bullet-views in clear glass, between reflection and transparency. Variations of floors offer a rich volume that enhances the intrinsic quality of each unit, giving the feeling of living on the top floor on all floors. 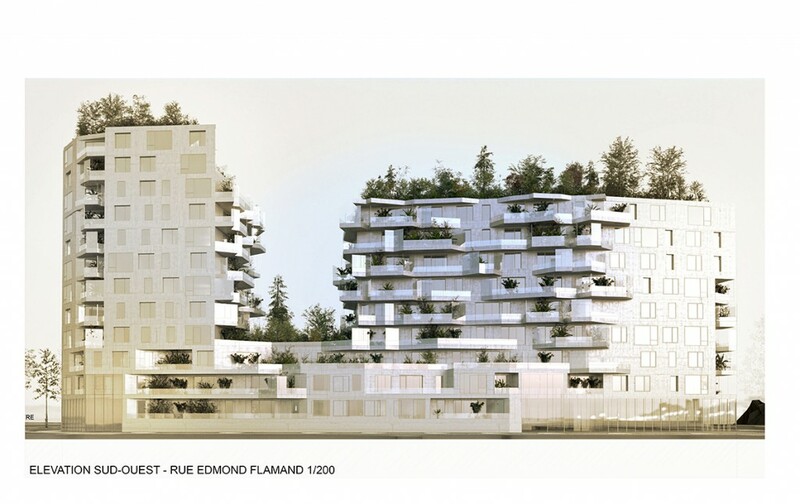 The heart of widely planted island, with parts in the soil welcoming tall trees, provides a framework around which the buildings open like offset plates against each other, which seem like floating on vegetation around them. 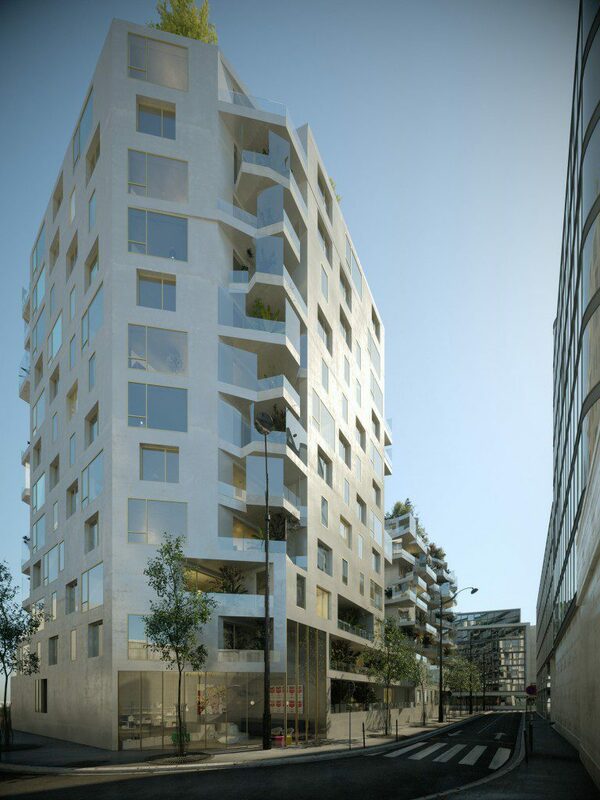 The project fits precisely within the “envelope capable” defined by the urban study of the agency Brenac + Gonzalez. The buildings are located in the alignment of the Fulton Street to the north, the street Bellievre south and Edmond Flamand Street to the west. 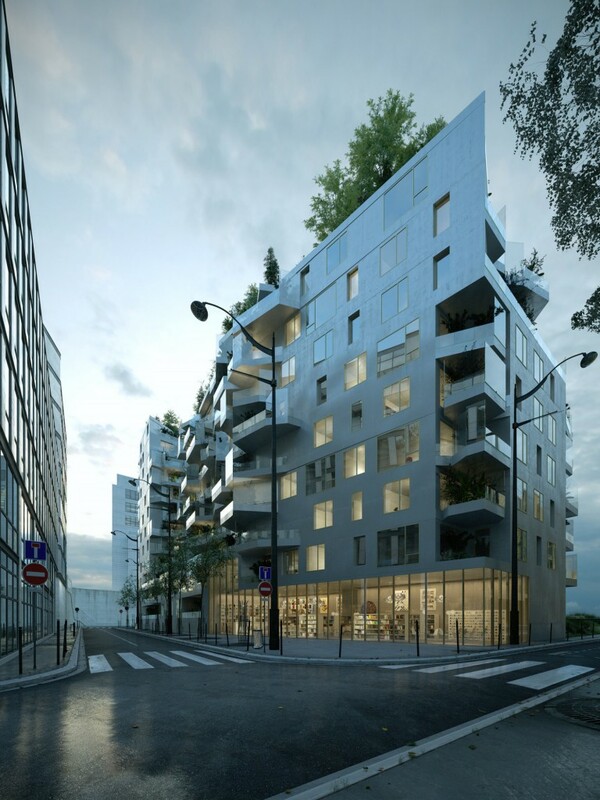 The emergence épannelage has a R + 11 for Building A, near Fulton Street, and his bonding with the building B is maintained until R + 2, releasing large planted terraces and bringing the additional brightness housing. 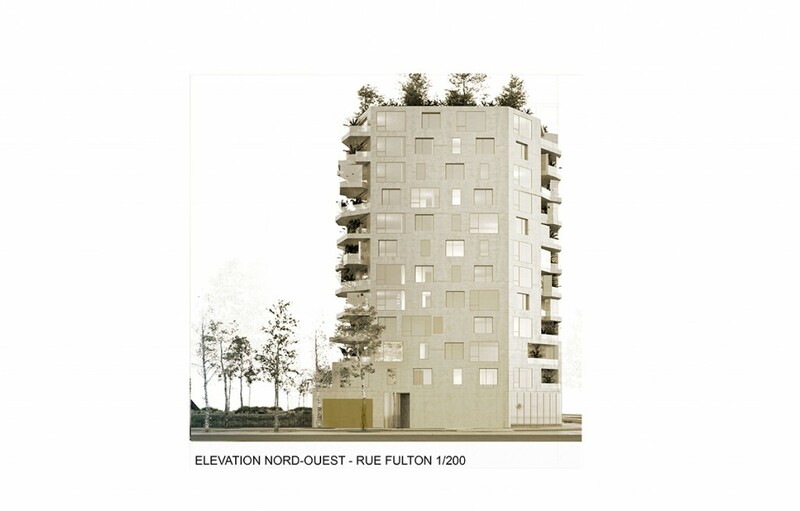 This low volume, which opens a rift between the two buildings, just continue and complete the visual axis booted from the Quai d’Austerlitz on the entire Fulton island. Games terraces and balconies steerable give an idea of ​​outdoor spaces in step, seeking the best possible exposure with a prospect consistent with urban requirements. 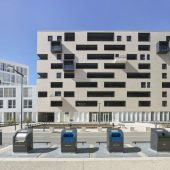 The quality of materials foreshadows a set of sustainable buildings whose quality of concrete facades offers a real longevity to virtually zero maintenance. 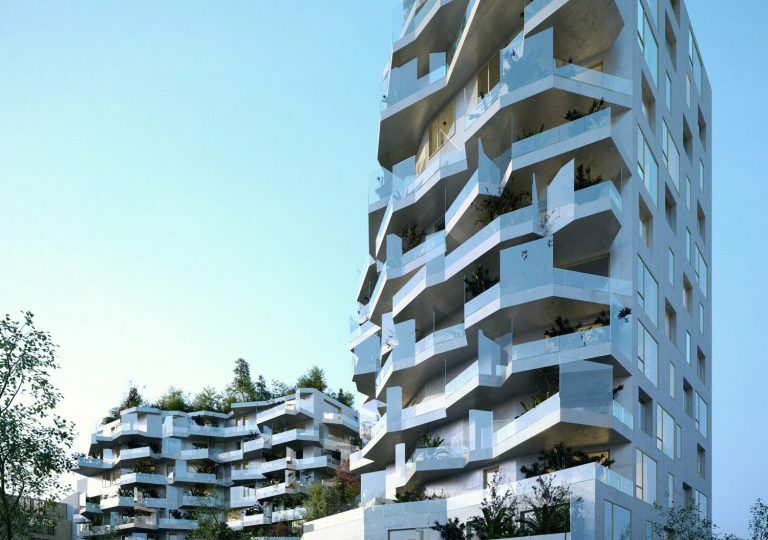 The presence of vegetation on all terraces also contributes to a real better life caused by this architectural response. 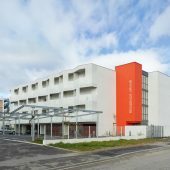 From the perspective of the pedestrian, the quality of facade coatings, combined with cutting balconies, gives to see a noble-looking building, although the simplicity of the materials used could secure control of the construction cost. 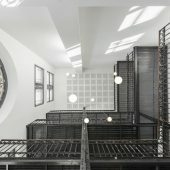 Glass railings are attached to each floor on a lighter masonry to protect oneself looks for residents, and therefore to limit the presence of blackout “wild”. Each shift in balcony over other also promotes a qualitative use by the occupants. 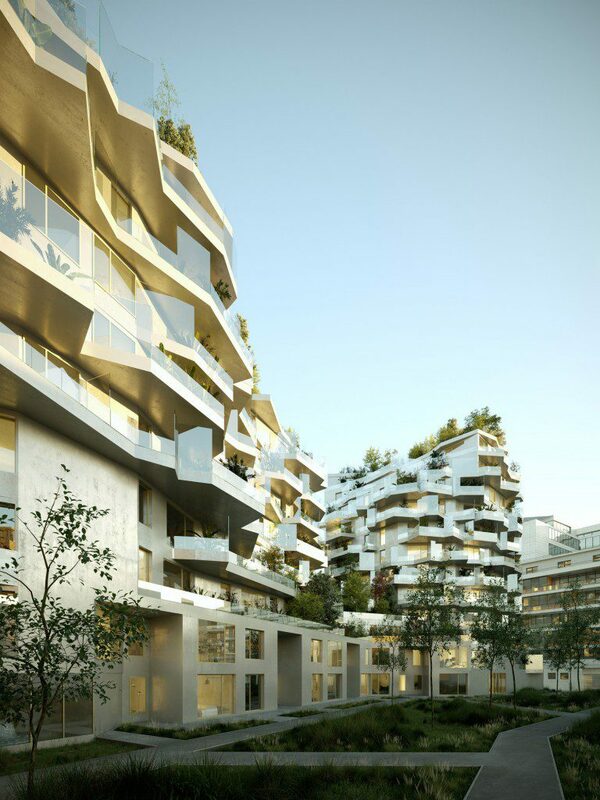 In addition the project includes in its economy delivery of a potted tree and a faucet for every balcony in order to promote a liberal image and give the taste of a garden terrace for each resident. This allows qualitative treatment to condition the sustainability of the project over the long term and to guard the use of outdoor spaces drifts. 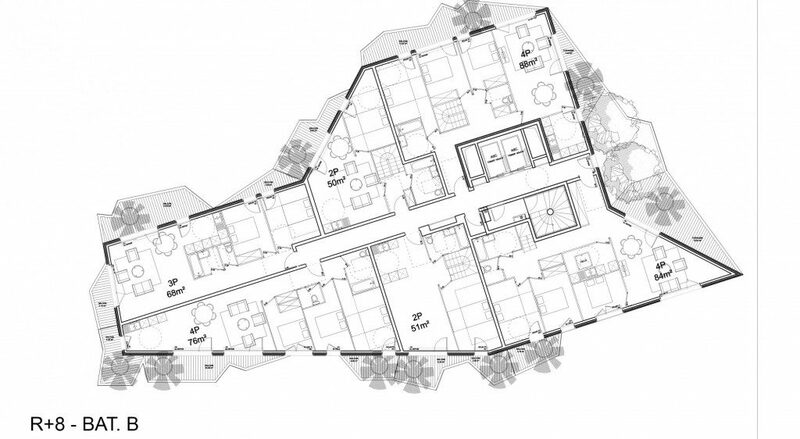 The approach and design of the whole island have been designed to adapt to programmatic changes without quality loss at the aspect of the project. 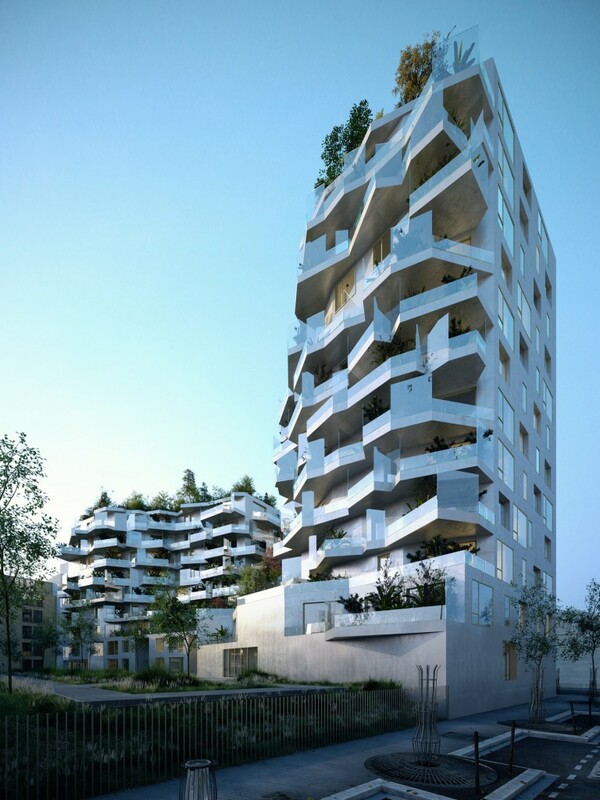 Between built and plant, the project revolves around a collective garden vegetation support, which meets the staggering volumes of plants on balconies and terraces. 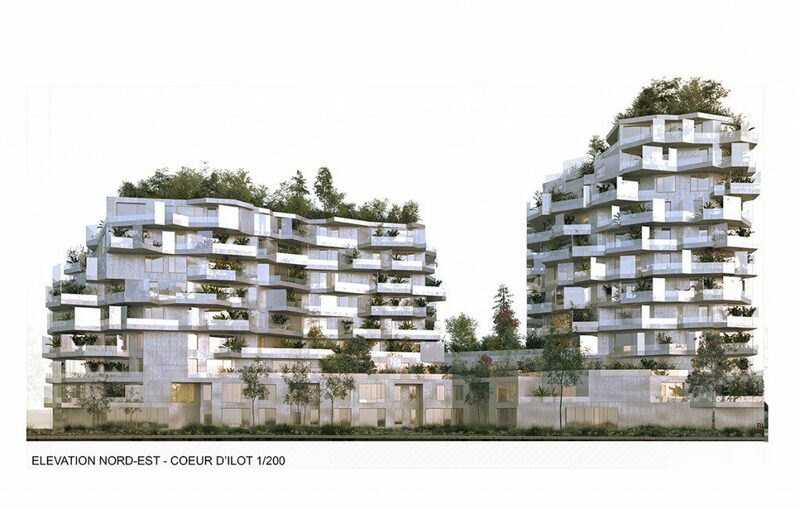 The heart of the block and offers a large space planted with a path between the trees in the ground and various clumps. 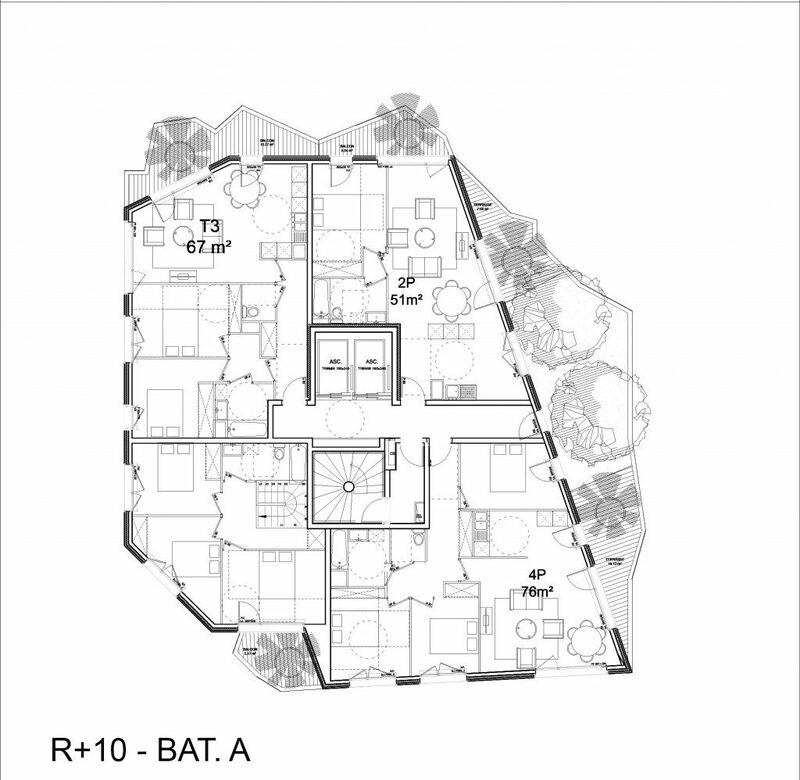 In addition, the basement plan retains the possibility of arranging the pits to plant large plant subjects. Vegetation, very present on the ground and on buildings, consists of evergreen trees to ensure a green appearance throughout the year, and also to participate in the private intimacy of each dwelling. The street grids will be made according to the specifications, in the continuity of works executed on the lot A5A1. The access to each building is via a wide glassed lobby, accessible by a flight of stairs and lifts, the ground floor being raised above street level. These halls also open to the garden in the heart of island and directly distribute the access to the floors. 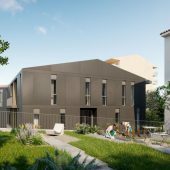 The project includes a total of 126 homes for a living area of ​​725 m² 7, while respecting the envelope template in the urban study. The optimization of surfaces will provide a compact volume with rational floor plans, without loss of surface area, and a distinction between the intermediate program (cage, 57 units in R + 11) and social (cage B , 69 units in R + 8). 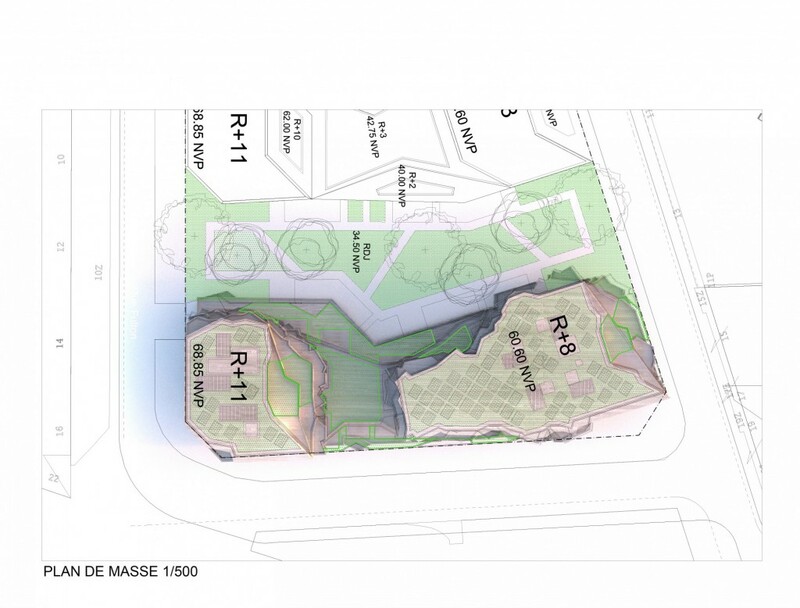 The master plan, consistent with the development plan of the ZAC and PLU, lets focus on south directions, east and west, and to reduce the visual impact of the project while respecting the requested surfaces. The majority of homes are in multi-directions. 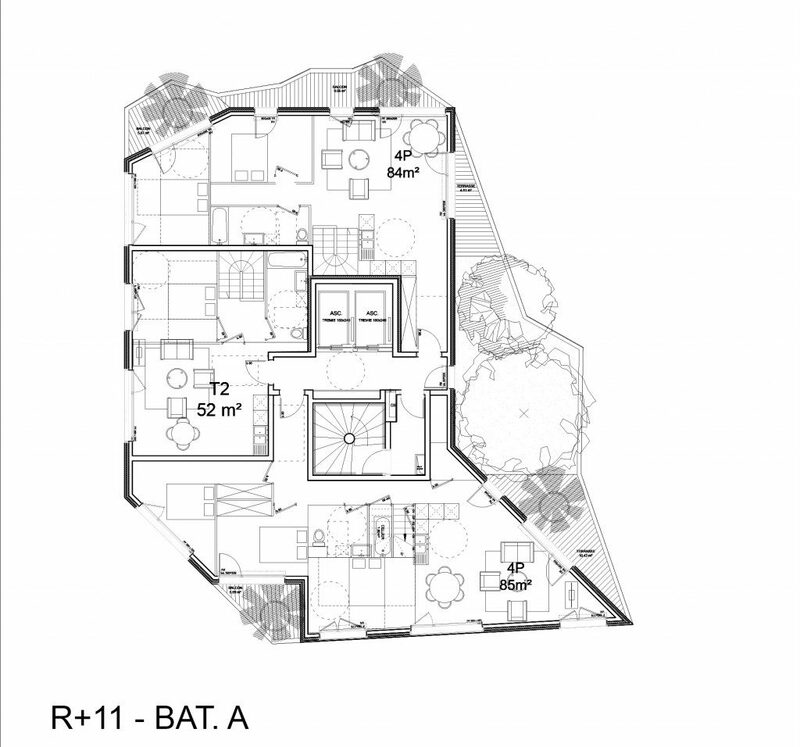 Particular attention was paid to drawing types so that they can benefit from a party day and night distinct, while providing great stays dual orientation. Town houses crept on the ground floor, scoring double-heights of the garden. 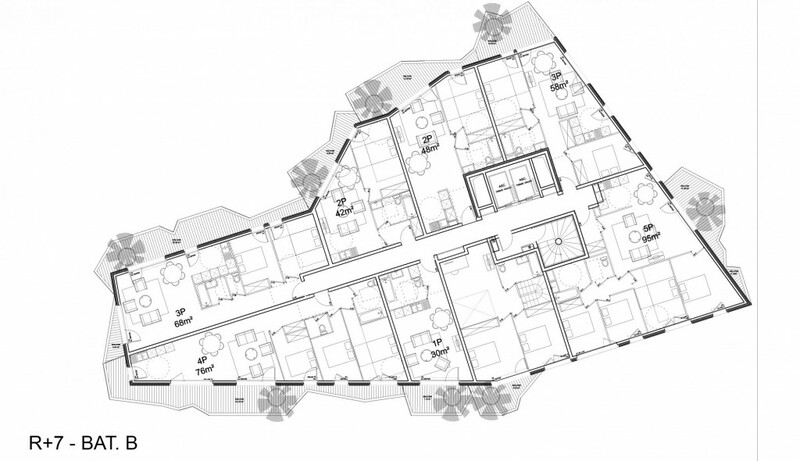 Each apartment also has a cellar in the basement and an outdoor area directly accessible from the stay. Private gardens are also given to the ground floor accommodation, while limiting their surfaces to ensure the quality and sustainability of landscaping. In addition to housing, the two double-height mark the shopping street facades on the ground floor. The parking lot is on two levels, which include the building device geometry, extending partially under the garden in the heart of island. 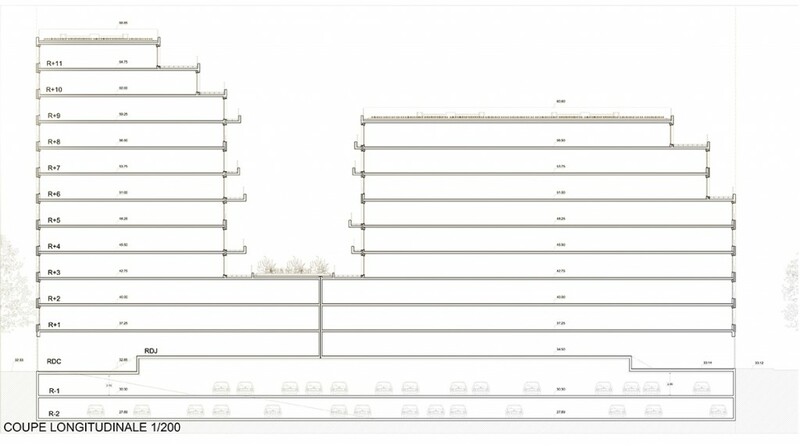 It has 161 beds, served by a ramp leading north of the parcel on Fulton Street. 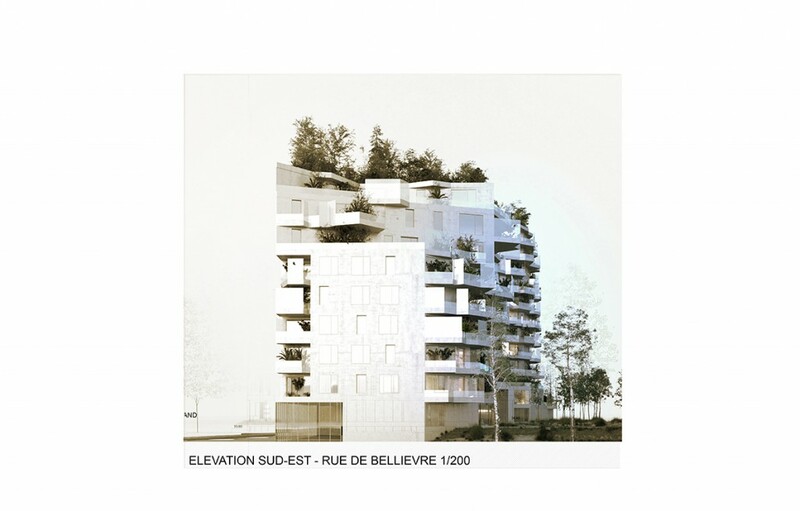 Moreover, the project provides all the premises required for the operation of the residence, in accordance with the urban regulations and the specifications of the contracting authority: parking area for motorcycles sub -sol, local bikes and strollers served from street access on the ground floor, rooms for the storage of garbage and recycling bulky home desktop accessible from the street Bellievre and local maintenance for each two stairwells. The connections to networks (cold water, storm water and waste water, transformer station food …) will be in limits of the plot. Their exact location remains to be determined according to the plan of existing networks. Flat roofs receive a peripheral strip of vegetation, continuing the principle of plant terracing characterizing the operation, which will hide the technical equipment breakdowns kiosks and solar panels. 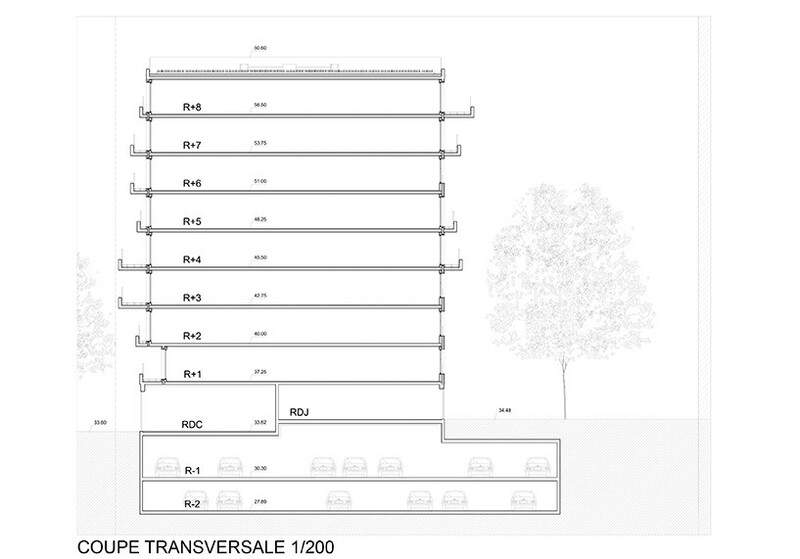 The project also proposes to make partially accessible terrace for housing last levels, the choice of the client.